Thank you for clicking on the “About” button. 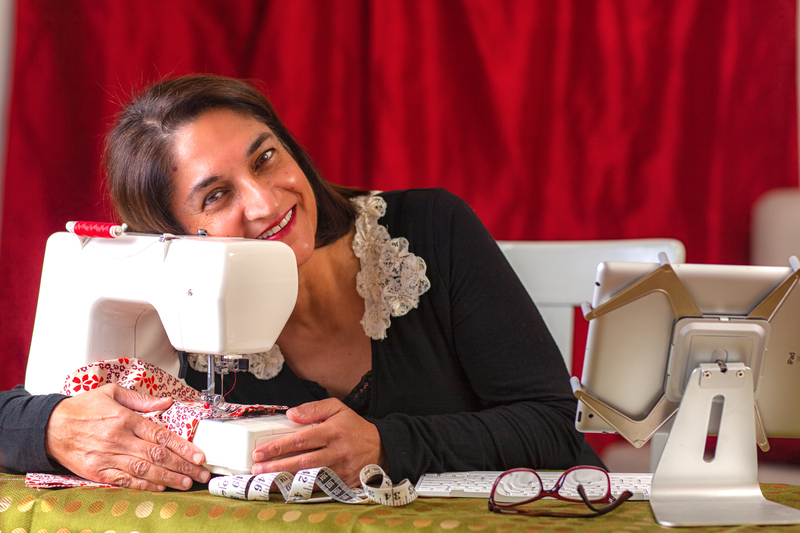 My name is Samina, I’m always sewing, and have a penchant for sewing everything. Yes, that’s me hugging my sewing machine, photographed by Brian Campbell Photography . I’m specially thrilled to take on this writing venture since there are many, many fantastic sewing blogs out there written by rock stars of the sewing world. 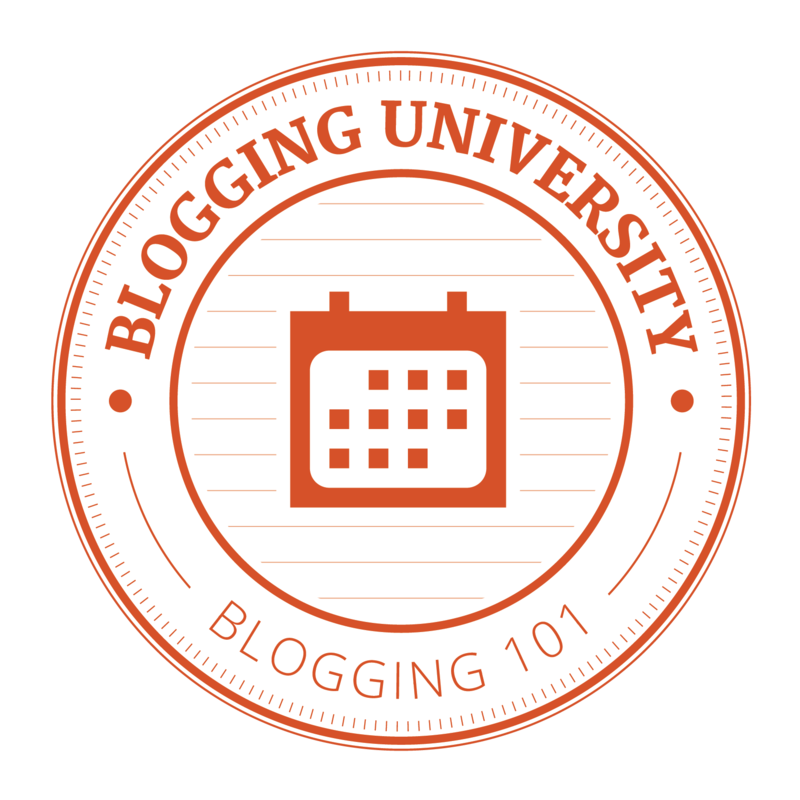 I think that all bloggers share a trait where they have a perennial desire to share their thoughts, ideas and accomplishments with whoever wants to know. I’m one of them and thus, have jumped into the blogging fray. I hope you will be informed and entertained with my sewing adventures, and any sewing education I can provide. Now, really about me: raised two daughters; worked for the American Sewing Guild’s National Headquarters for almost 12 years; studied pattern design in college, but gave it up as soon as commercial patterns were discovered; authored a sewing article for Threads in 2003, for Vogue Patterns about destination fabric shopping in Houston in 2011, made the cover of “Notions” a couple of times, an American Sewing Guild publication. In 2014 and 15, got two projects published in Stitch magazine. Hope you enjoy my posts, and I hope to enjoy reading your comments. Hi Debbie! Thanks for checking in! You are the first commenter ever, on my blog and it’s recorded for posterity! Hope to hear from you frequently! Anjum just sent me your link. You have such talent! I plan to read it in great depth and enjoy it thorougly. I miss you Samina, and I wish I could come and visit you and Aunty and Asra and Sara. Hi Farida! Received all your news from Anjum & Junaid. I’m thinking of you and praying for your recovery. I’m thrilled to see you reading my blog! Take care, dear friend. Found you via Twitter, look forward to reading more here on your blog. I love vintage too; sewing, illustrations, just about everything. Are we called vintage-ophiles? Thank you for leaving a comment. That’s what I always hope – that this blog inspires people to sew. I consider sewing an enjoyable “life skill”. Let us know how you do with your kurta, and feel free to ask any questions. 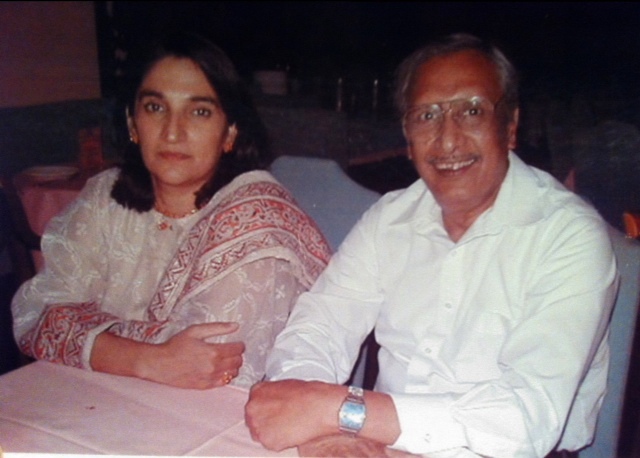 Samina, I hope that you have lovely memories of your guy to comfort you. You are very creative and it’s wonderful that you are sharing your skills with others. And, although I cannot sew a stitch, I will try to follow along and learn something new. Great blog Samina! I’m always so happy to see you on Periscope. I just saw your note about losing your special guy and wanted to tell you how very sorry I am to hear that. I hope you have beautiful memories to bring you comfort.